Comfortable and classically elegant with a small footprint for close quarters, the Cadillac fits any style and is available in a variety of colors and designs. Please inquire for availability. 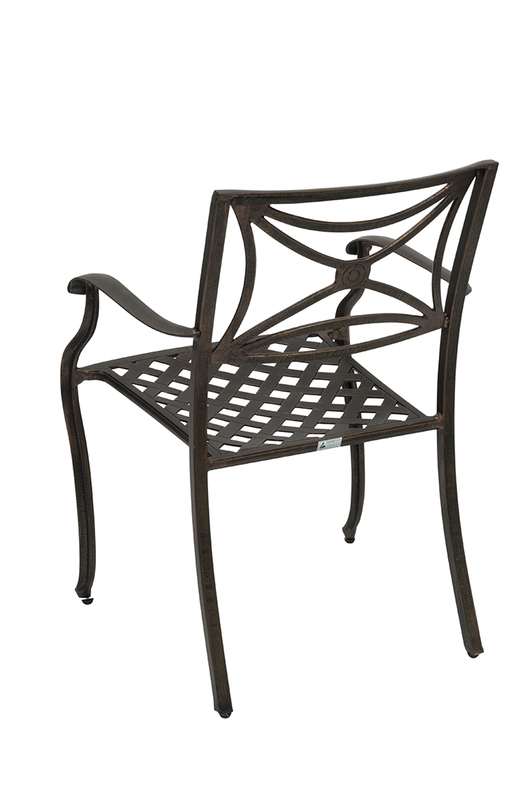 Domenica brings Euro style to all-weather furniture. 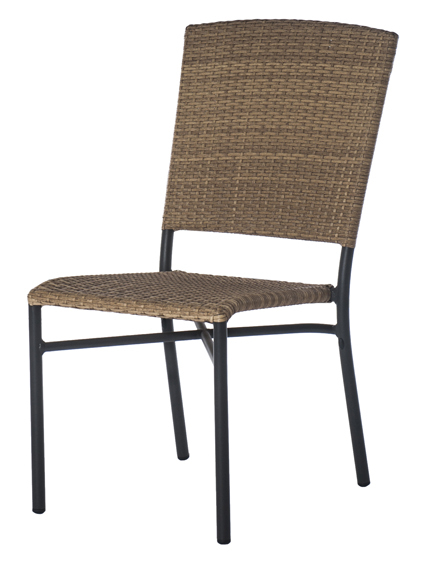 Available in stackable barstools, side and arm chairs, with a polyvinylchloride (PVC) shell and anodized, molded-in aluminum legs, it is as durable as it is good looking. 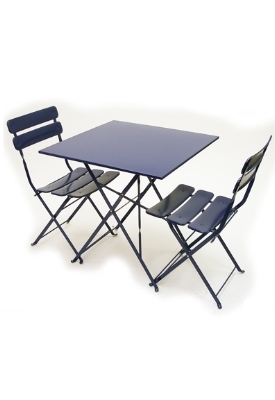 Made of 100% recyclable products and available in several colors, Domenica is part of our in-stock collection. 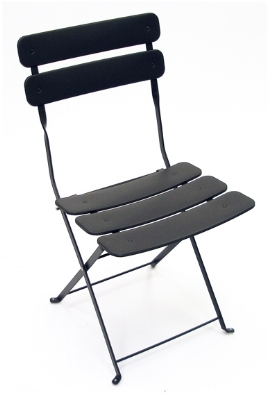 Daytona is a stackable, glass fiber reinforced resin chair. A mid-century modern classic, the Draper is constructed with leather-look vinyl over a classic shell and sits on a sturdy welded-steel frame and turned-wood legs. 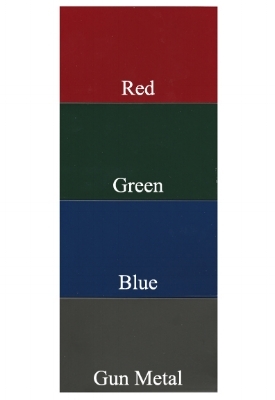 The Draper is available in additional colors on special order. 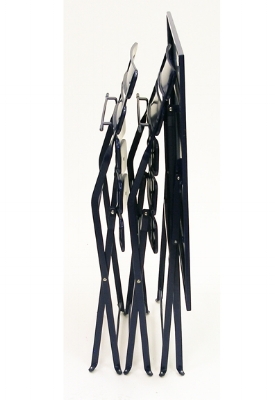 Elegance is heavy duty marine grade aluminum tubing, powder coated in black pepper. Natural or faux teak or textylene availabe. 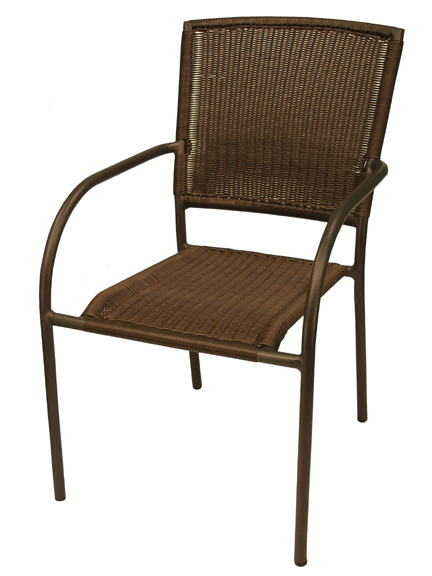 ATC presents our version of the iconic French Farmhouse Chair with a distressed wood look finish on sturdy, corrosion-resistant welded aluminum for use both inside and outside. 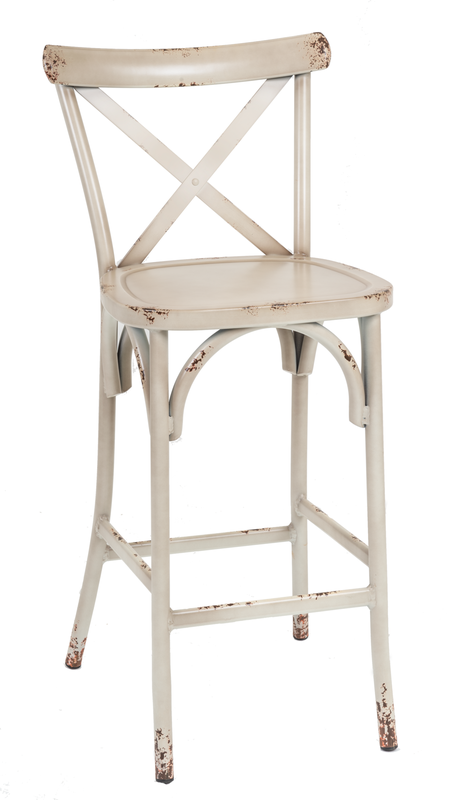 Stackable to four-high at an affordable price, these lightweight, all-weather chairs are stocked in distressed-ivory and teal and are available in other finishes on special order. The bar stool version will be available in mid-September. A highly popular mid-century modern chair is re-created in our Fifties series. 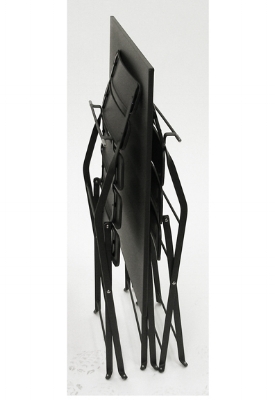 A wood multi-ply formed seat and back are mounted on a strong welded steel framework and legs for trouble-free use in the most demanding interior environments. The Fifties chair will also be available in a counter-height (24") and bar-height (29") version with appropriate foot rests in mid-September. 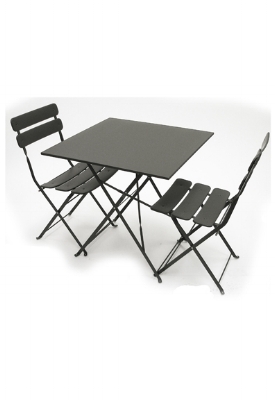 Fleet is a sturdy all aluminum chair with a brushed, anodized finish designed for inside and outside use. 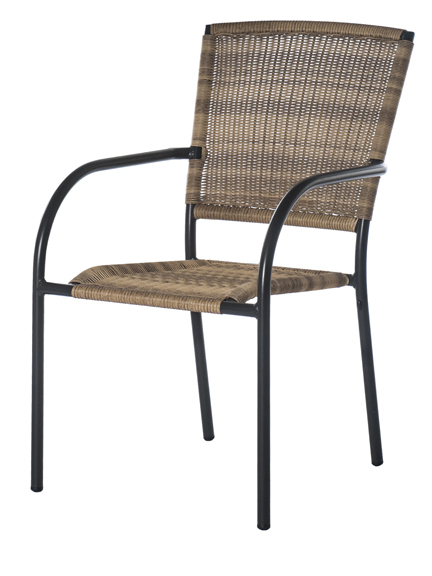 Ibiza and Florida are stackable, glass fiber reinforced resin chairs. 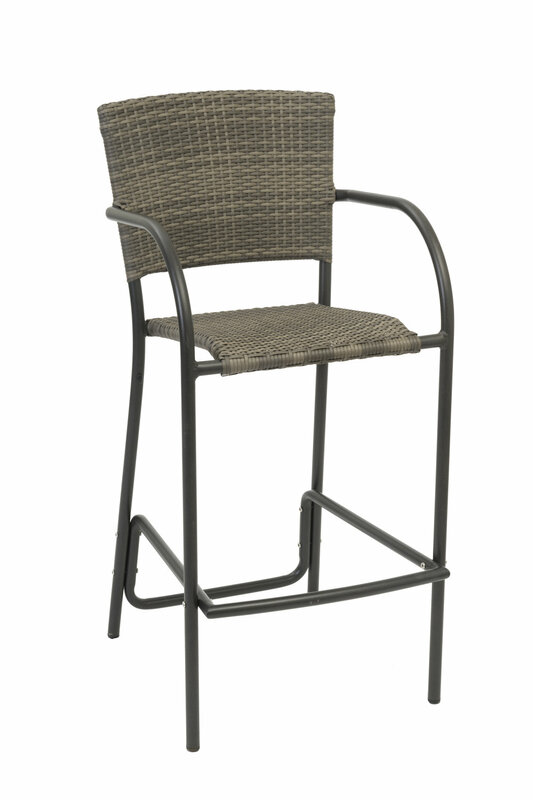 Florida is also available in a stackable barstool.